What is NLP Coaching? How does NLP add Significant Value to Coaching? 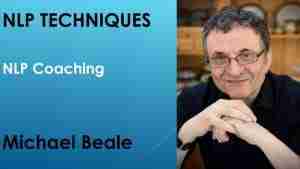 In this video, Michael explains how NLP coaching is more effective than traditional coaching. What is NLP Coaching, and how is it different to traditional coaching? In what way does NLP add significant value to coaching? What is our coaching model? Why do some coaching clients give up? How can we reduce this? ways to overcome blocks and challenges. Next let’s define coaching before moving on to look at GROW as the classic coaching model, and then look at our own NLP coaching model. review progress to improve both the plan and future action. gives them the skills to plan and act upon future journeys on their own. While I’ll use a ‘coaching style’ most of the time – because it works – occasionally I’ll use other interventions if I think they’re appropriate. An important aspect about coaching is that it helps clients turn learning into results. Consulting – we complete a research / discovery phase and give the client the answer. We may be asked to implement it. 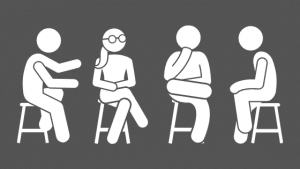 Coaching – we help the client find their own answer (so they’re in charge). The client implements it, albeit with our help. Teaching – we tell the client the answer. Mentoring – we’ve been there before and the client can learn from our experience. In theory, coaching is straightforward. In practice, it can be challenging because many of us do not know what we want, and either do not know, or do not want to be realistic about, our current situation. What qualities does a client need to be successfully coached? As well as all this, the client needs to accept ownership and commit to a certain amount of time, energy and focus to achieve what they want. It’s important to acknowledge the importance of the environment. The environment can undo the benefits of being coached, so I often coach our clients to create an environment that supports any change they want to make. This means the client not only benefits from the coaching, but has those benefits reinforced by their environment. Being coached requires effort and persistence, however the rewards can be significant and genuinely life changing. Way Forward: The actions we need to take to help us achieve our goals. Our NLP model, which follows, builds upon GROW. It is a more complete model in that it includes tools to help our clients answer the questions that need to be answered to use the GROW model in the first place. Each of these elements on their own can improve the likelihood of success. Together they provide a powerful success system. Follow up, Following up whatever happens and using the information from this to determine what we do next. I always emphasise the importance of creating options for our clients. An option, as I define it, is only a theoretical option, (more like a dilemma) until our client knows what to do, the reason for doing it, knows how to do it and is prepared to do it. When these conditions are met it’s truly an option. It’s a belief in NLP that if a client has a number of options, as qualified above, they will automatically choose the path most beneficial to them. Why do some coaching clients give up? How can we reduce this? Marshall Goldsmith, one of the very top businesses coaches worldwide, has identified a number of reasons that clients sometimes give up. Ownership. The client doesn’t take ownership of the problem/challenge and the search for an effective solution. Time. While some interventions are very fast, others take time and follow up. The client need the persistence to stick with it. Difficulty. Ambitious goals, such as setting up a successful business or winning a gold medal, aren’t always easy. Distractions. We live in a distracted world. Ambitions often require focus. Rewards. We’re in a world of instant results. Our client may have incorrect expectations of the practise required. Maintenance. Clients may not accept that high performance requires maintenance. We can reduce the odds of a client giving up by ensuring they realise the true value to them of what they want to achieve, and giving them a realistic expectation of what is required from them right from the start. We need the client to fully ‘buy in’ to the programme, the benefit they’ll get and the action they need to commit to. Clients need a certain amount of ambition, courage, openness and discipline to succeed. We can’t do this for them them, however NLP has a number of approaches to help them develop these characteristics. NLP has many approaches to help our clients connect with their values and purpose, and in doing so reduce the changes of them ‘giving up’. I’ve found that when they connect to what they really want, commit to doing what is required and take a realistic view of their own responsibilities – they may be surprised by how quickly they start achieving what they want. It’s an active relationship. The client needs to choose the coach, and the coach needs to choose the client. When is NLP Coaching more effective than NLP Training? NLP Coaching will be the best option where follow up makes a significant difference. This includes goals like financial freedom, starting and growing a business business, improved health and winning at a sport. In the next section we explore our Success system and model, which further improves our clients chance of success.